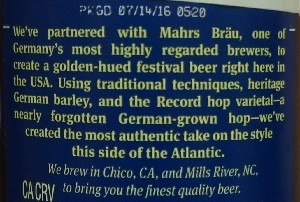 Brewer Description: (from bottle) We’ve partnered with Mahrs Bräu, one of Germany’s most highly regarded brewers, to create a golden-hued festival beer right here in the USA. Using traditional techniques, heritage German barley, and the Record hop varietal – a nearly forgotten German-grown hop – we’ve created the most authentic take on the style this side of the Atlantic. Intro: A 12 fl oz bottle packaged on 14th July 2016 and poured into a Mikkeller pint glass. Appearance: It poured a clear golden colour with a less than one finger white head that dissipated quickly with minimal sparse lacing. Aroma: Grassy, hay, grain, sweet bready and maybe a touch of honey. 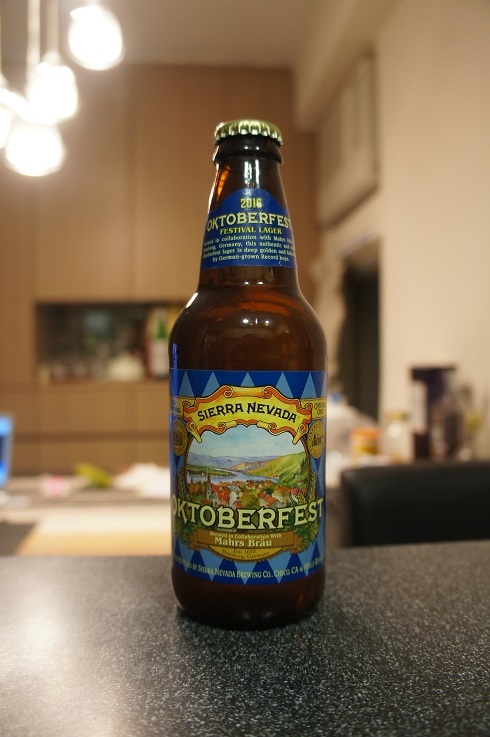 Taste: Grassy, grain, slightly sweet honey, pilsner malt, lightly floral and bready. Mouthfeel: Crisp, light to medium bodied with light to moderate carbonation. 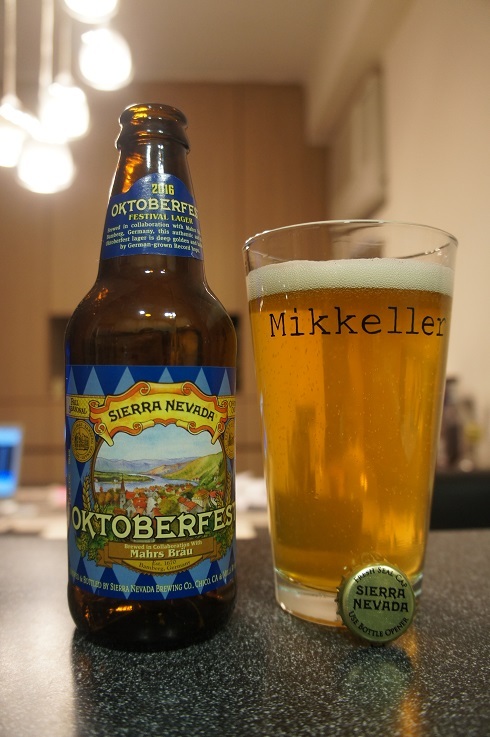 Overall: Slightly sweet for me, and I was expecting more carbonation, but not bad.